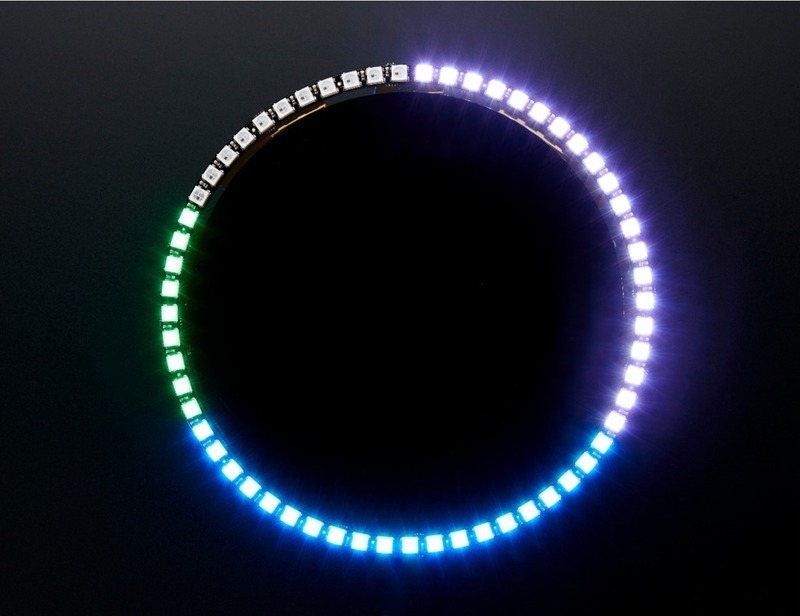 NeoPixel 60 Ring Wall Clock « Adafruit Industries – Makers, hackers, artists, designers and engineers! 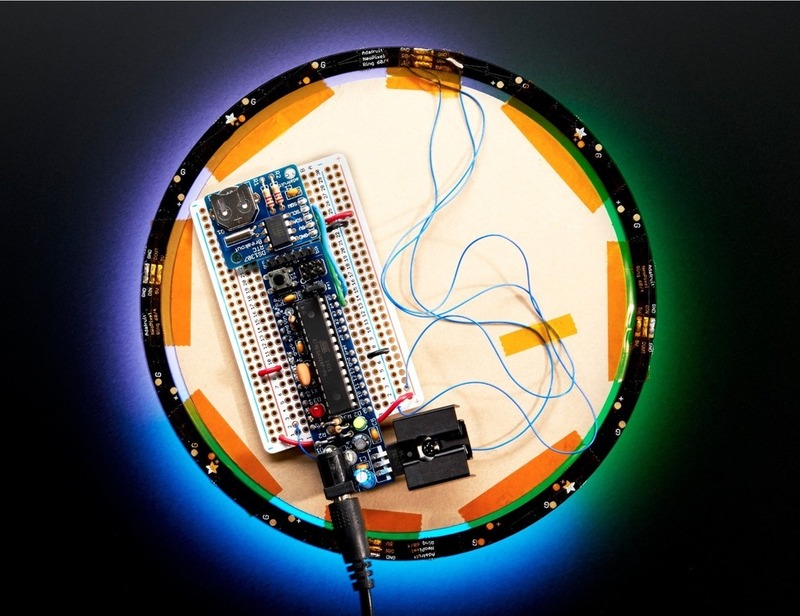 Check out our new tutorial for this charming NeoPixel wall clock by Andy Doro! He walks you through the circuit and code to build your own using a DS1307 Real Time Clock breakout board kit, 60 NeoPixel ring, and a DC Boarduino.